When it comes to big numbers, very big numbers, the human brain is weak. In fact, our brains cannot deal with the really large numbers. That’s why when the subject is Earth, planets, Solar System, galaxies, and in general, the Universe, we cannot truly conceptualize the things. A lot of people think we’re “conquering” space (we are far, far away from that – and maybe we never will), or the “aliens” are regularly visiting Earth as if it is just an hour’s drive from there. In fact, these people don’t truly understand what are they talking about, how big is the universe, how far the stars are, and how the Earth is a tiny, tiny spot in a vast space we are still striving to understand. But we can try to understand and conceptualize. To put things into a perspective, YouTube user morn1415 prepared a video (he updated a previous video with the new findings in the astronomy). Ganymede (Jupiter III) is the largest moon of Jupiter and in the Solar System, and the only moon known to have a magnetic field. It also probably has an internal ocean that may contain more water than all of Earth’s oceans combined. Kepler-10c is an exoplanet orbiting the G-type star (the Sun is also a G-type star) Kepler-10, located around 568 light-years away. It is one of the largest known rocky planets. Size comparison of Earth with Kepler-10 c (middle) and Neptune (right). 2MASS J0523-1403 is a very-low-mass red dwarf about 40 light years from Earth. A red dwarf is a small and relatively cool star. They range in mass from a low of 0.075 solar masses (M☉-the mass of the Sun, approximately 1.99 × 1030 kilograms) to about 0.50 M☉ and have a surface temperature of less than 4,000 K. 2MASS J0523-1403 is even smaller than Jupiter. It has a luminosity of 0.000126 L☉, a mass of <0.08M☉, a radius of 0.086 R☉ and an effective temperature of 2074K. These values are currently the lowest known for a main sequence star. HD 189733 b is an extrasolar planet approximately 63 light-years away from the Solar System. It is one of the largest possible planets, but its mass is only 13% greater than Jupiter. Sirius is a star system and Sirius A is the brightest star in the Earth’s night sky – twice as bright as Canopus, the next brightest star. Although white to blue-white in color, Sirius might be called a rainbow star, as it often flickers with many colors. The brightness, twinkling and color changes sometimes prompt first-time observers to report Sirius as a UFO. Pollux, also designated Beta Geminorum is an orange-hued evolved giant star approximately 34 light-years from the Sun in the northern constellation of Gemini. It is the closest giant star to the Sun. Since 1943, the spectrum of this star has served as one of the stable anchor points by which other stars are classified. In 2006, an extrasolar planet (designated Pollux b or β Gem b, later named Thestias) was confirmed to be orbiting it. Arcturus, also designated Alpha Boötis is a relatively close Orange Giant at 36.7 light-years from the Sun. Arcturus is the brightest star in the Northern celestial hemisphere and the fourth-brightest star in the night sky, after Sirius (−1.46 apparent magnitude), Canopus (−0.86) and Alpha Centauri (−0.27). However, Alpha Centauri is a binary star, whose unresolved components to the naked eye are both fainter than Arcturus. This makes Arcturus the third-brightest individual star, just ahead of Alpha Centauri A, whose apparent magnitude is −0.01. How to find Arcturus in the Sky? 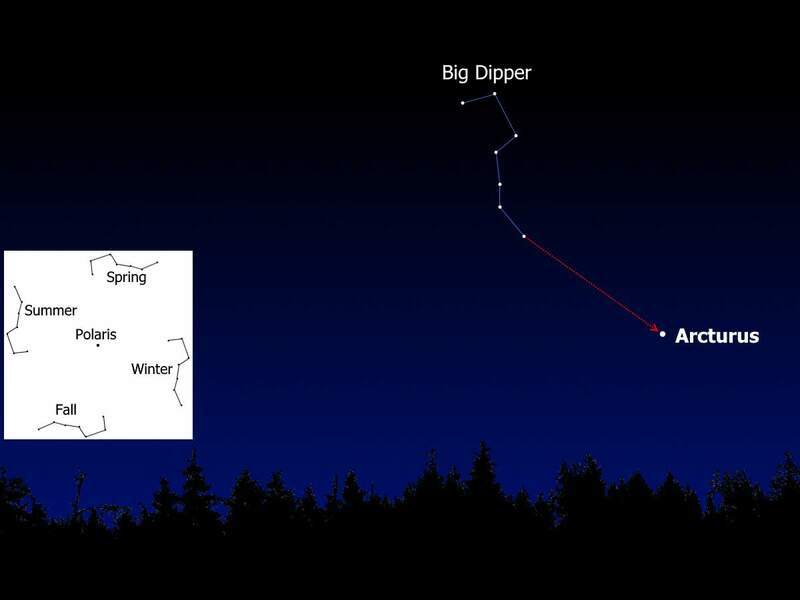 First, locate the Big Dipper asterism in the northeastern sky. In the northern United States, Canada or at a similar latitude, the Big Dipper is circumpolar for you – always above the horizon. The white box on the left shows the Big Dipper’s location at around midnight in these seasons. It ascends in the northeast on spring evenings, and descends in the northwest on fall evenings. The basic rule to remember is “spring up and fall down”. Then draw an imaginary line following the curve in the Big Dipper’s handle until you come to a bright orange star. This star is Arcturus. Aldebaran, designated Alpha Tauri is an orange giant star located about 65 light years from the Sun in the zodiac constellation of Taurus. It is the brightest star in its constellation and usually the fourteenth-brightest star in the nighttime sky. Pioneer 10 is currently heading in the general direction of the star and should make its closest approach in about two million years. How to find Aldebaran in the sky? In the late autumn, look to the eastern sky. Find Auriga, and draw an imaginary line following the line between two stars in the bottom. You’ll see a bright orange star, it is Aldebaran. For the Northern Hemisphere, the presence of Capella and Aldebaran in the eastern evening sky signals that autumn is here and waning toward the winter season. They will climb upward throughout the evening hours, to reach their high point for the night an hour or two past the midnight hour. Auriga is one of the 88 modern constellations; it was among the 48 constellations listed by the 2nd-century astronomer Ptolemy. Located north of the celestial equator, its name is the Latin word for “charioteer”, associating it with various mythological charioteers, including Erichthonius and Myrtilus. Auriga is most prominent during winter evenings in the northern Hemisphere, along with the five other constellations that have stars in the Winter Hexagon asterism. Because of its northern declination, Auriga is only visible in its entirety as far as 34° south; for observers farther south it lies partially or fully below the horizon. A large constellation, with an area of 657 square degrees, it is half the size of the largest constellation, Hydra. Its brightest star, Capella, is an unusual multiple star system among the brightest stars in the night sky, the sixth-brightest in the night sky and the third-brightest in the northern celestial hemisphere, after Arcturus and Vega. Pleiades or Seven Sisters (Messier 45 or M45), is an open star cluster containing middle-aged, hot B-type stars located in the constellation of Taurus. It is among the nearest star clusters to Earth and is the cluster most obvious to the naked eye in the night sky. 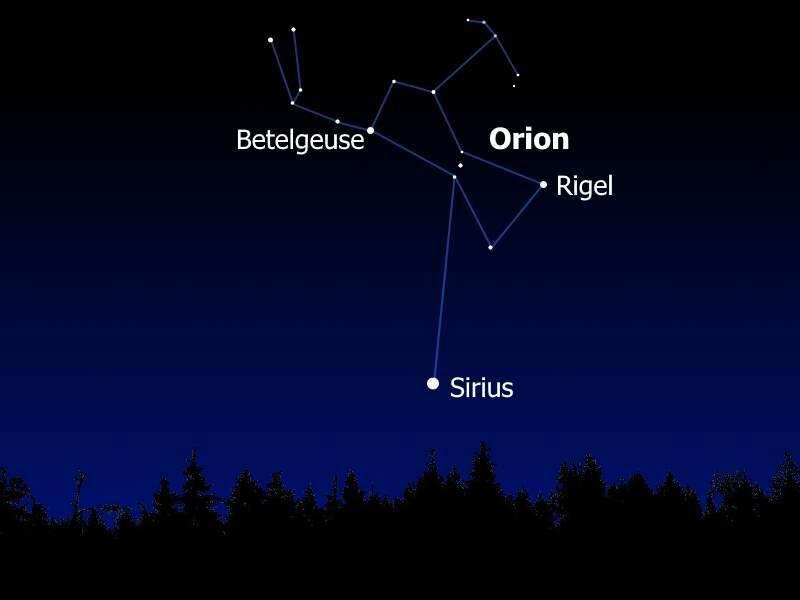 Rigel, also designated Beta Orionis is generally the seventh-brightest star in the night sky – it is actually a triple (or quadruple?) star system. Its primary star (Rigel A) is mentioned in the video, which is a blue-white supergiant that is estimated to be anywhere from 120,000 to 279,000 times as luminous as the Sun. Pistol Star is a blue hypergiant star, one of the most luminous known in the Milky Way, which owes its name to the shape of the Pistol Nebula, which it illuminates. It is located approximately 25,000 light years from Earth in the direction of Sagittarius. It would be visible to the naked eye as a fourth magnitude star if it were not for the interstellar dust that completely hides it from view in visible light. 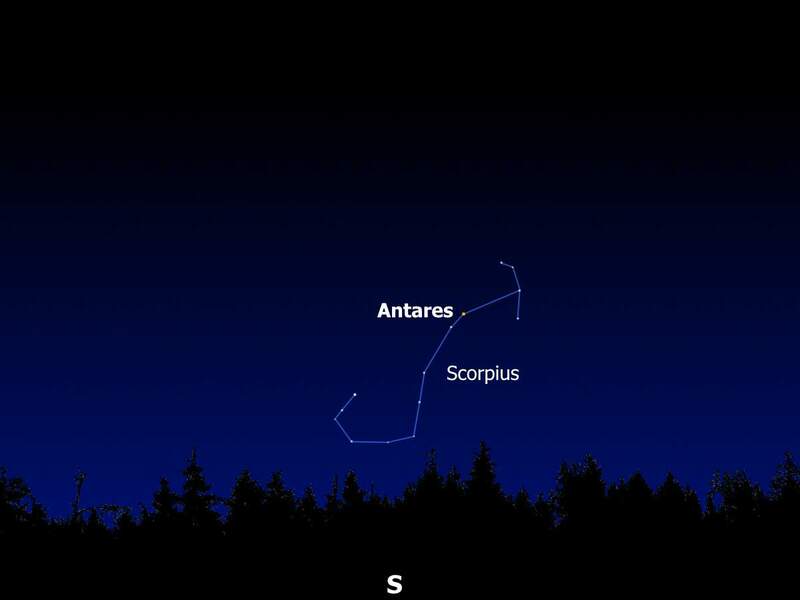 Antares, also known as Alpha Scorpii is the fifteenth-brightest star in the night sky; the brightest star in the constellation of Scorpius, and is often referred to as “the heart of the scorpion”. With a radius that is approximately 883 times that of the Sun, it is one of the largest stars, if placed in the center of the Solar System, its outer surface would lie between the orbits of Mars and Jupiter. How to find Antares in the sky? In the northern hemisphere, if you look southward in the early evening from late spring to early fall, you’re likely to notice the fishhook pattern of Scorpius (Scorpion), with Antares at its heart. Betelgeuse, also designated Alpha Orionis is a red supergiant, and the ninth-brightest star in the night sky and second-brightest in the constellation of Orion. Once the largest know star (not anymore), VY Canis Majoris (VY CMa) is a red hypergiant star located in the constellation Canis Major. It is also one of the most luminous of its type. It has a radius of approximately 1,420 solar radii (990,000,000 km; 6.6 AU), and is located about 1.2 kiloparsecs (3,900 light-years) from Earth. UY Scuti is currently the largest known star by radius. It is a bright red supergiant and pulsating variable star in the constellation Scutum. It has an estimated radius of 1,708 solar radii (1.188×109 kilometers; 7.94 astronomical units); thus a volume nearly 5 billion times that of the Sun. It is approximately 2.9 kiloparsecs (9,500 light-years) from Earth. If placed at the center of the Solar System, its photosphere would at least engulf the orbit of Jupiter! The observable Universe contains about 2 trillion galaxies – more than ten times as many as previously estimated.